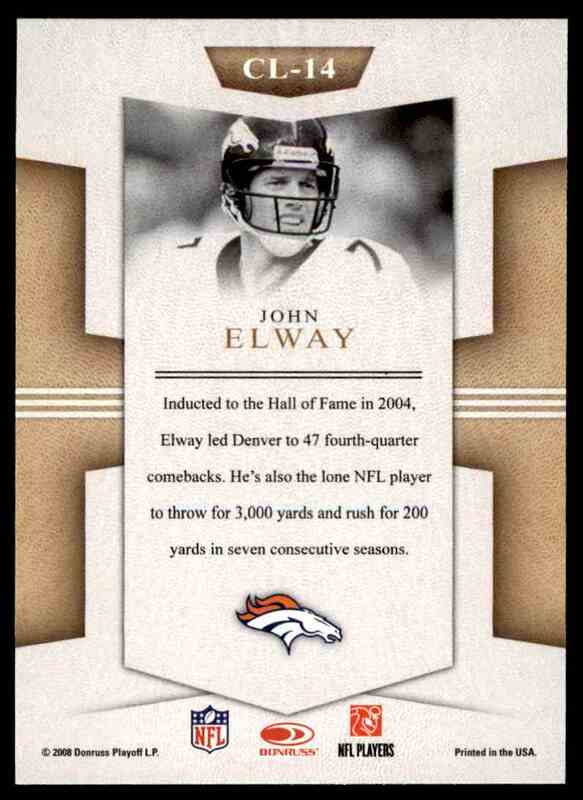 This is a Football trading card of John Elway, Denver Broncos. It comes from the 2008 Donruss Threads Century Legends set, card number CL-14. Insert. It is for sale at a price of $ 3.99. 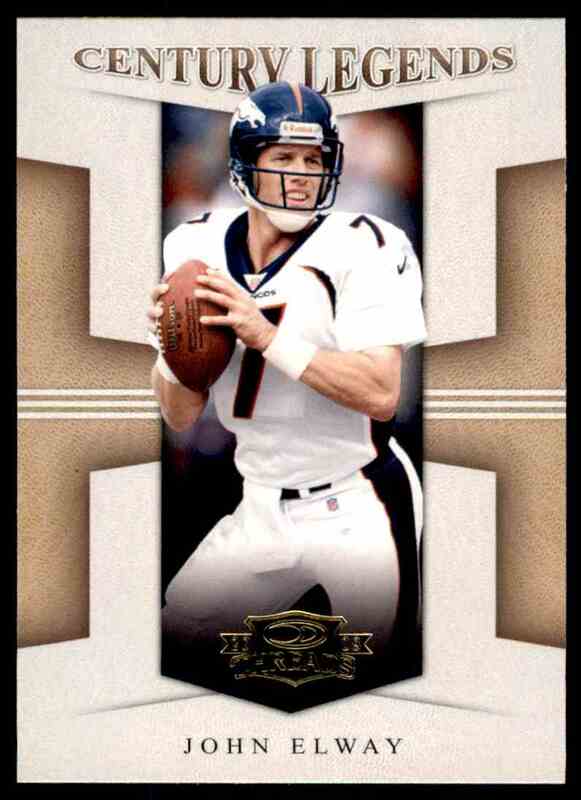 We specialize in bargain sportcard auctions to rejuvenate the love of card collecting.